Inteko president Yelena Baturina on Saturday discussed the sale of assets to Vasily Anisimov's real estate holding Coalco, but the meeting was brief because the two billionaires could not agree on a price, sources close to both sides told Vedomosti. Anisimov, a 20 percent shareholder in iron-ore producer Metalloinvest, was interested in purchasing assets from Inteko for his development business, but the meeting with Baturina was very brief and unsubstantial, a source close to the businessman said. A source close to Baturina, who is also the wife of former Mayor Yury Luzhkov, said she was not satisfied with the price of about $400 million that Anisimov offered. The source close to Anisimov said their weekend meeting didn't even include talks on a price. Inteko's press service said Friday that the company and its development projects were clearly worth more than the $400 million figure that had been previously mentioned in the media. "If it were true that Inteko was being sold at that price, then it would simply be a case of racketeering," the company said. The company is receiving a low valuation because of debt, said sources close to Baturina and the participants in the talks. 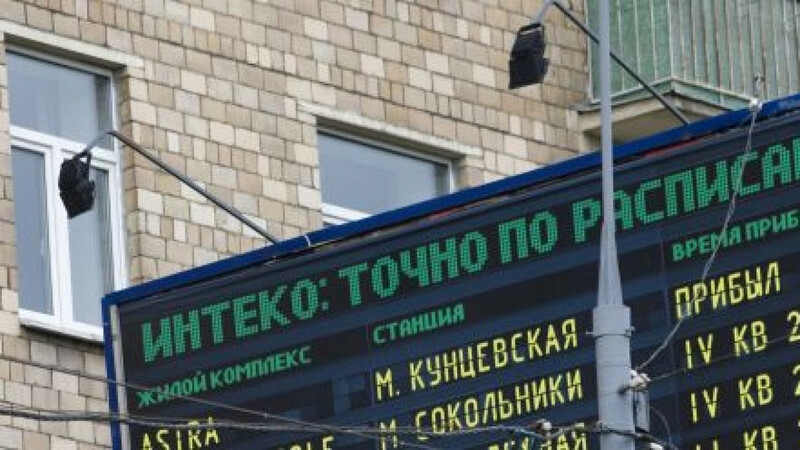 Inteko has about $1.2 billion in debt, with 22 billion rubles ($715 million) owed to Sberbank, 12 billion rubles to Bank of Moscow and 1.5 billion rubles to VTB. A spokesperson for Bank of Moscow was not immediately able to comment on the matter, while Sberbank could not be reached for comment. VTB, which has conducted due diligence on Inteko's property, has valued its development assets — excluding the closed joint-stock company Patriot — at 350 million euros ($460 million), a source close to Baturina said. Inteko has 43 developments in Moscow, but only a few of them are generating serious cash flows, including the Dominion and Champion Park residential complexes. "VTB is not interested in a purchase and is not lending to potential buyers. But as an Inteko creditor, it is concerned about the situation in the company and following it closely," a spokesperson for the lender said. Companies linked to billionaire Suleiman Kerimov have also been named in the media as potential Inteko buyers, though his spokespeople have denied any interest. A source close to the participants in the current round of talks said that in addition to Anisimov, other interested parties include British firm Rexam, which is one of the world's largest consumer packaging companies. In Russia, Rexam owns a factory that produces aluminum cans in the Moscow region town of Naro-Fominsk. Spokespeople for Rexam could not be reached for comment. An Inteko spokesperson said the British company had not made an offer. Baturina isn't ready emotionally to sell her company, a source close to the talks' participants said. Russia's wealthiest woman is, however, unloading individual assets. She agreed to sell her stake in a Moskva-City development to Magnitogorsk Iron & Steel Works owner Viktor Rashnikov, and she has also sold 98.12 percent of Russky Zemelny Bank to six Cyprus-registered companies. As of Nov. 1, the lender had assets of 5.4 billion rubles, according to National Bank Trust. In addition to development, Inteko owns construction assets including Moscow builder DSK-7, St. Petersburg builder DSK-3, Rostov-on-Don builder Kombinat Krupnopanelnogo Domostroyenia, and the Atakaisky and Verkhnebakansky cement factories. The firm Patriot focuses on large-scale, low-cost housing projects. Inteko also controls Alfa-Plast, a plastics maker that controls up to 30 percent of the Russian market for certain products. Inteko, which is 99 percent owned by Baturina, had a loss of 38.15 billion rubles last year on revenue of 54.43 billion rubles, according to Interfax's SPARK database.